The Chamber is passionate about bringing the Henry County business marketplace together. As a member, we encourage you to use the Chamber website to market your business. You can utilize many of the following resources by logging into your account. 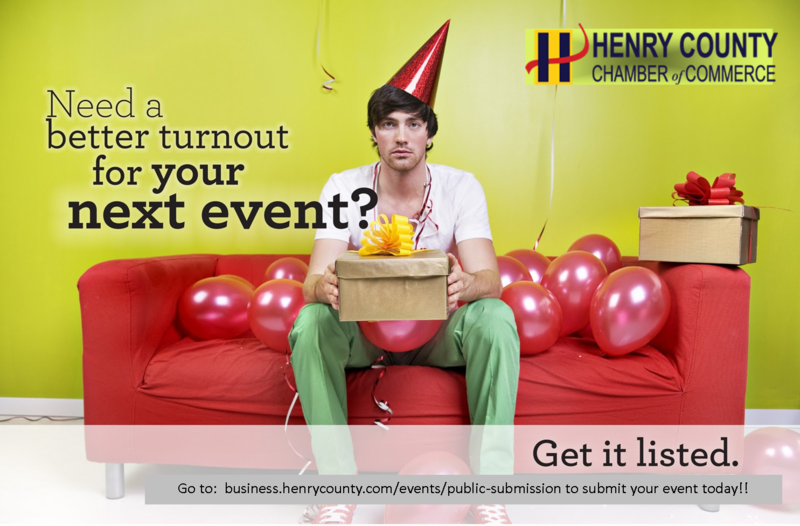 We hope that you will login to the Chamber website at www.henrycounty.com and use it to post your jobs, events and discounts to attract more business. If you need your login and password or are experiencing trouble accessing your account, please contact memberservices@henrycounty.com. Must submit by the 15th of the month to have Community Events listed in our Monthly Printed Publication as well! Submit JPEGs of your event flyers to bingram@henrycounty.com. The Henry County Chamber of Commerce is proud to offer members the ability to post press releases on our website! As a free benefit of your membership, Chamber Channels publishes your business news! Is your company celebrating a milestone, announcing a new product, adding or promoting staff? Why not tell us and we'll put it in print! The Henry County Chamber of Commerce’s Bulletin Board keeps members updated on the latest events including networking events, workshops, seminars, public advocacy, and more. If you are a Chamber member, you can submit your event flyer for inclusion on the bulletin board. We will review the submission within 48 hours, and once it is approved, add it to the corresponding month. Click “The Bulletin Board” to see for yourself.. If you are a member of the Henry County Chamber of Commerce and you have created a Facebook Event Page for your upcoming event, let us know and we will be glad to add it to our page and help you invite some of your fellow chamber members! Be Sure to check out some of the upcoming ‪#‎HCCCMemberEvents!